The new auto insurance law reforms go into effect on January 01, 2013. These reforms will change the way you approach injuries following an automobile accident. The auto accident injury insurance (PIP) law after January 01, 2013 states care must be started on or before the 14th day after the accident. Any care started after the 14 day window, is not eligible for any benefits. GET TREATMENT AS SOON AS POSSIBLE. Treatment must begin within 14 days following the accident in order for you to receive the benefits from your auto insurance (PIP) insurance. 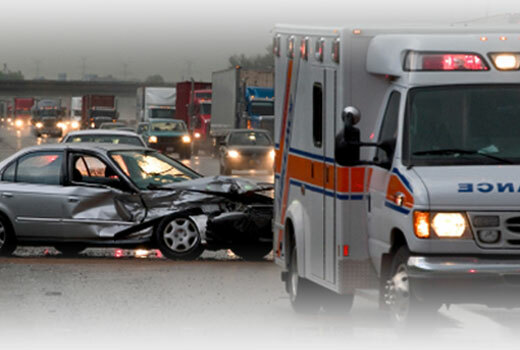 After 14 days ALL BENEFITS FOR AUTO ACCIDENT INJURY INSURANCE ARE FORFEITED. SCHEDULE YOUR APPOINTMENT WITH THE RIGHT DOCTOR. The practice where you seek care for the auto accident injuries must have a medical staff for the full auto insurance benefits to potentially be available. He or she must also give the proper determination for your benefits to be available. TELL EVERYTHING. In addition to only qualifying for the full auto insurance benefits in a practice with medical staff, follow-up treatment can only be given to the areas that are related to medical diagnosis on the first visit. DON’T HOLD BACK. You have to tell how bad the pain really is. To qualify for the full benefits, the injury must have an “Emergency Medical Condition” (EMC) determination and be diagnosed as an acute (recent) injury that is very painful with serious potential outcomes, if not treated quickly. DON’T SKIP APPOINTMENTS. This includes both the visits with the treating provider and insurance company doctor appointments. If you miss two insurance company appointments, no insurance coverage or no benefits will be available. DON’T IGNORE THE INSURANCE COMPANY’S CALL. Insurance companies are required to take a recorded statement (called an Examination Under Oath, EUO). Good News, the law limits the questions to “relevant information”. If you have an attorney representing you, he or she can insure that insurances company questions are within the correct boundaries. INSURANCE COMPANIES HAVE TIME, YOU DON’T. While you have 14 days to see your health provider, the insurance companies may have up to 90 days to pay claims. 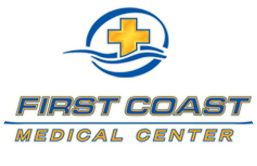 First Coast Medical Center has a Board Certified Orthopedic Physician as its medical director, as well as two Advanced Registered Nurse Practitioners (ARNP), all of whom qualify to make the determination of an EMC, as well as a chiropractic staff who stand ready to help your auto related injuries after the new law takes effect. CALL 358-BACK (2225) for an appointment or for more information.